You can buy Korean peaches in NY! 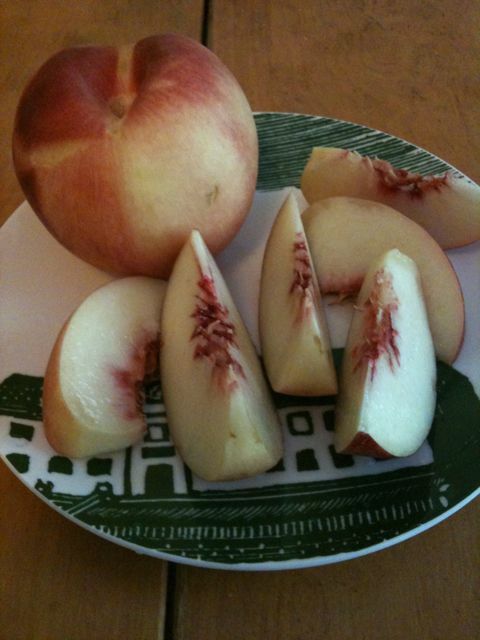 I’m not sure what makes them Korean but they are distinctly sweeter, purer, and somehow lighter than American peaches. These 복숭아 or boksungah are often sold by the box and given, like gold, as expensive gifts. 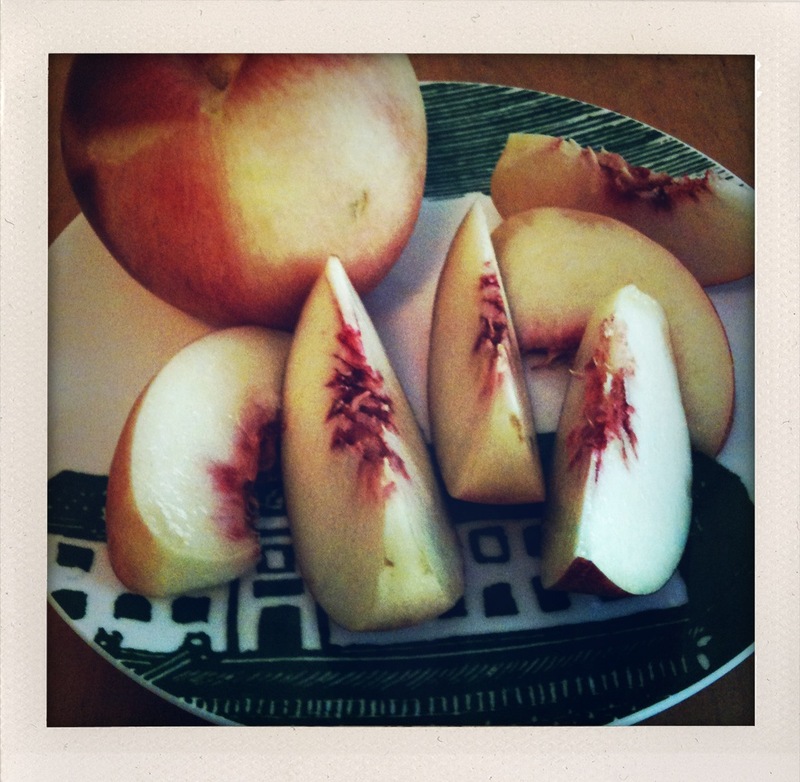 They’re white peaches, a pale blushing pink on the outside with a firm, smooth white interior. They’re floral and delicate, even though they’re as large as softballs. They’re best when still slightly firm, with just the slightest give when you squeeze, but gently, always. These peaches don’t taste good when bruised. I think these are from Evergreen Farm in New Jersey, which sells a lot of wonderful Korean produce, including fat purple grapes. Their products can be found at Han Yang Mart in Flushing. This entry was posted on August 17, 2010 at 3:39 pm and is filed under Korean Food. You can follow any responses to this entry through the RSS 2.0 feed. You can leave a response, or trackback from your own site.